Always a strong seller -nuns, priests and monks. 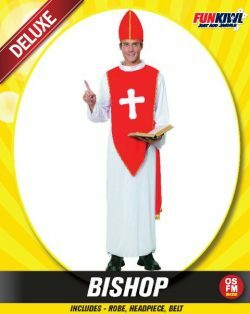 Bishop costume including a robe, headpiece and belt. 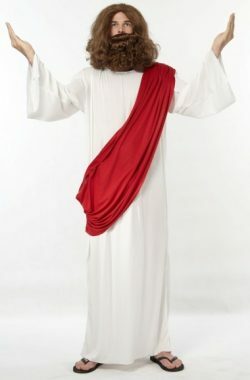 White Jesus robe with attached red sash. 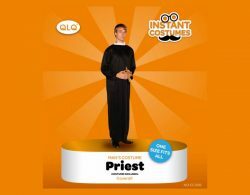 Add a Jesus beard and wig set. Hooded long brown monk robe with robe belt. 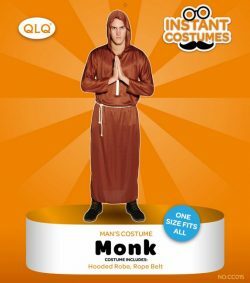 Brown monk character religious costume with hooded robe and rope tie. 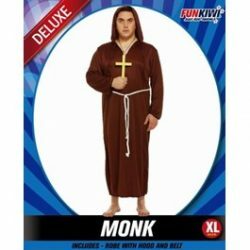 Adult brown monk costume in XL size. Long black Nun robe and headgear. 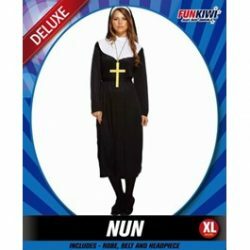 Adult female black nun costume in XL size. 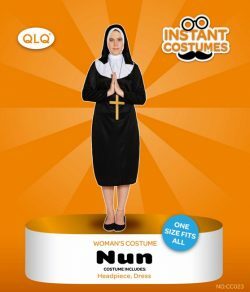 Nun character religious costume. dress and head piece. 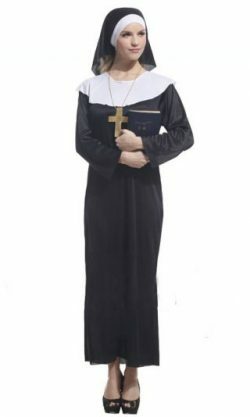 Black nun costume with wide white collar, habit and gold cross. 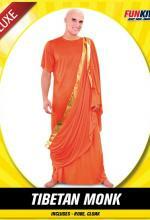 Tibetan monk costume with long orange robe and cloak.